Hoist your anchors and set course for Port MANNA to fight hunger while relaxing on the banks of the Swannanoa River at MANNA FoodBank’s 18th Annual Blue Jean Ball: PIRATES of the SWANNANOA, Saturday, June 3th. Don’t miss MANNA’s biggest party for a purpose, featuring all you can eat small plate grazing and desserts from a range of Asheville’s top restaurants – from Biltmore to Red Stag Grill – and dozens of wines and beers from which to choose. 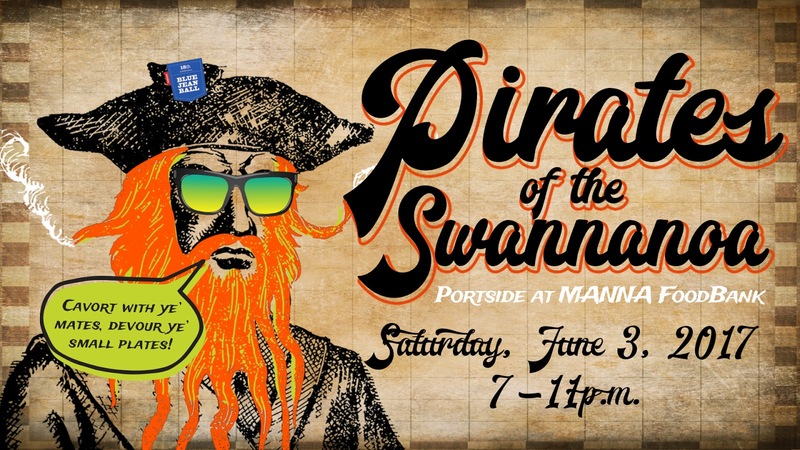 Get inspired by the PIRATES of the SWANNANOA theme and dress up to win costume prizes for Best Swashbuckler and Feisty Lass, or practice your pirate voice and try for our Best Pirate Growl, and more. Dance the night away with DJ Scurvy Dawg, and it is our distinct pleasure to announced the fabulous Michelle Amato will be fronting a band just for this occasion: Michelle Amato and the Booty is coming together for just one night to keep you on the dance floor. Michelle Amato is a nationally recognized touring and recording artist, and has worked with major musical artists throughout her career, including Quincy Jones, Liza Minnelli, Al Green, Sandi Patty, Jon Hendricks, Donna Summer, Michael McDonald, and more. Michelle fronts an A-list lineup of Asheville’s own incredible musicians for this special event. Tickets are $95, and are all-inclusive. This event is for ages 21 and over. Call (828) 299-3663 or go to MANNAEvents.org to purchase tickets. Empire Distributors of NC, Inc.
About MANNA FoodBank: MANNA FoodBank is a 501(c)(3) non-profit organization serving Western North Carolina since 1983. As an accredited member of Feeding America, the nation’s largest domestic hunger relief organization, the mission of MANNA FoodBank is to involve, educate, and unite people in the work of ending hunger in Western North Carolina. MANNA serves over 200 community-based non-profit food assistance partner agencies in 16 Western North Carolina counties and distributed 16.4 million pounds of food in 2016. For more information, visit MANNAFoodbank.org, or call 828-299-FOOD.